MMA Fight Events - August 2013 | MMA Fighting Events Videos Techniques UFC Fight Picks and News. 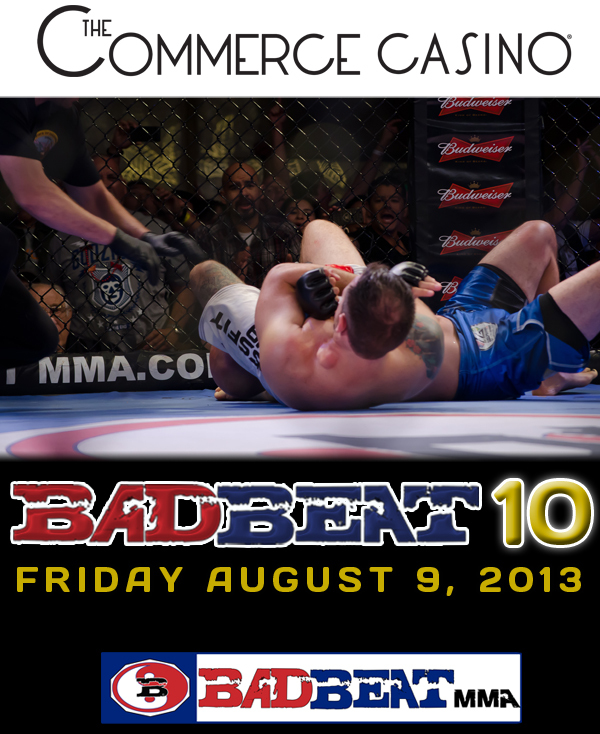 This Friday August 9, BAMMA USA will be putting on a night of professional MMA fights at the Commerce Casino. Badbeat 10 will open it's doors at 6 p.m. The preliminary card will start at 7 p.m. and the main card will begin at approximately 9 p.m.
On Thursday August 15, Roy Englebrecht brings you Fight Club OC. Fight Club OC will feature a hybrid fight card of five professional boxing fights and three professional MMA fights live at the The Hangar at the Orange County Fairgrounds. 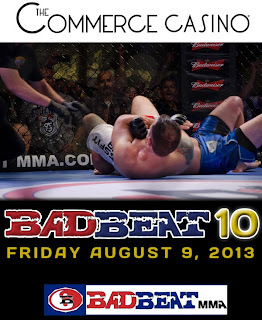 The following Friday August 16, the MMA action continues with The Amir Fighting Championships. The Amir Fighting Championships is a CAMO sanctioned amateur event with 10 fights on the official fight card. 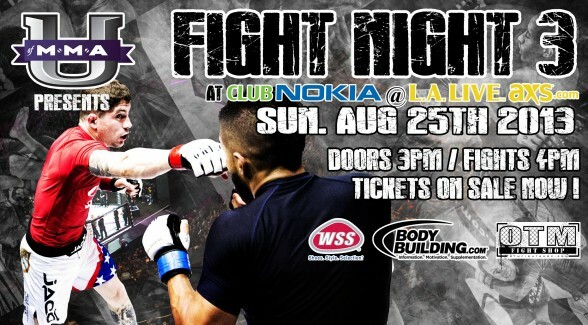 Doors will open at 6 p.m. and the MMA fights get going at 7 p.m. The Amir Fighting Championships will be held at the Beyond the Stars Palace. 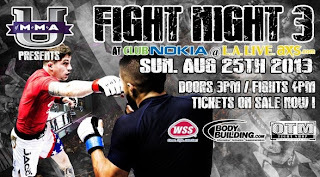 Towards the end of the month, on Sunday August 25, the University of MMA (U of MMA) will bring you Fight Night 3, Fight Night 3 will feature a night of MMA CAMO sanctioned amateur fights live from Club Nokia in Los Angeles. 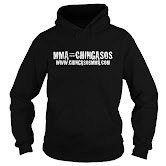 Chingasos MMA Lieutenant, writer, editor and talent scout, Ricardo Robles will be making his return to the cage! Stay tuned for a behind the scenes article from his perspective. The doors to Fight Night 3 will open at 3 p.m. and the fights will get going at 4 p.m.